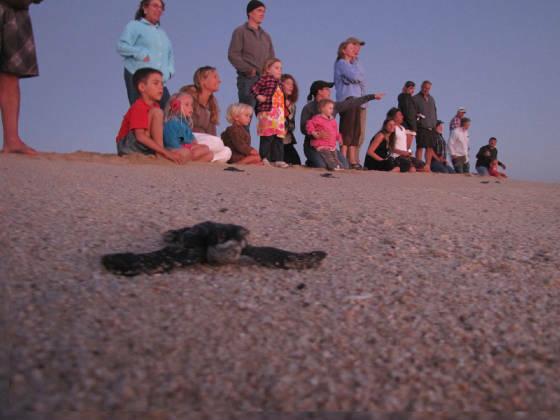 Hatchling Releases are always Open to the Public and Free of charge. You can help make Hatchling Releases possible by making a Donation! Hatchling Releases take place December 1 - April at the "Campamento Tortuguero" (Turtle Camp) in Las Tunas! Then, you will receive the notices in your newsfeed. or you can visit this site to view the live data stream at the top of the page. 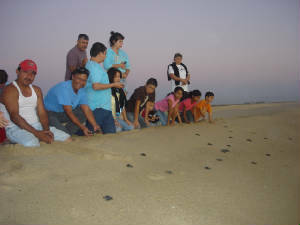 The Las Tunas Sanctuary is located between Calle Mangos and Camino Internacional on the beach. From Centro, take Topete to the "Otra Lado." Turn left on Horizonte, pass school, then bear Right on Camino a Las Playitas. Travel about 1.5 miles and rurn left on Camino International (toward ocean). Veer left at fork, then take it all the way untill you reach the dunes and turn left, and you will see the parking area. For Hatchling Release info "Like" us on facebook, and you'll recieve notices in your newsfeed. Or, visit this website to view the live data stream at the top of the page. 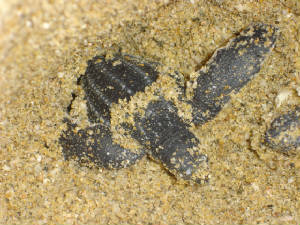 We try to post Hatchling Release info by noon each day.